This weeks post was really last weeks one however since it was delayed I wanted to give the cowl the attention it deserves especially from those who wait to read my posts on Monday teatimes. 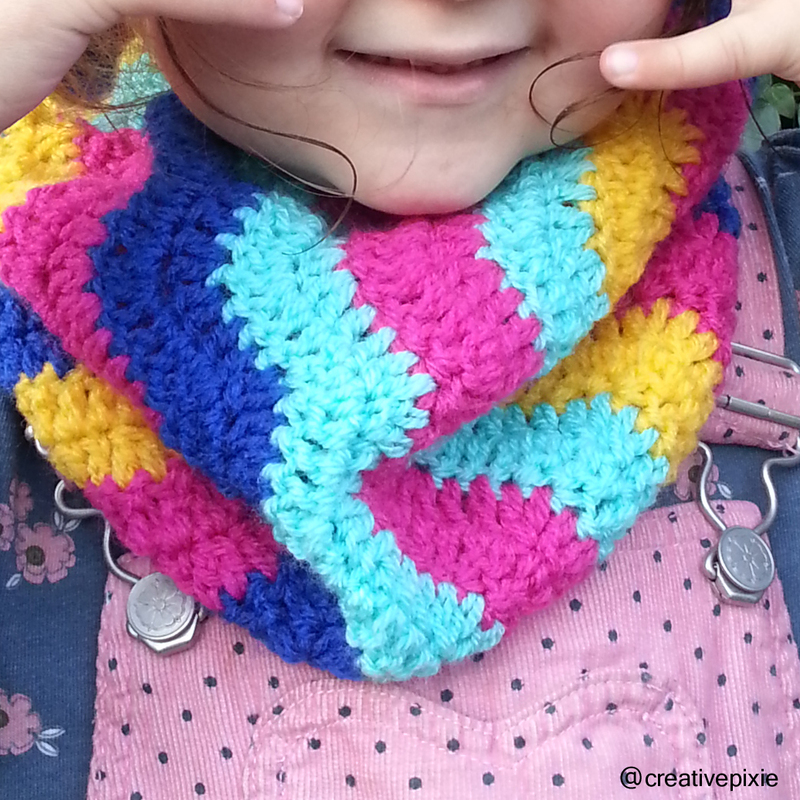 I made this crochet ripple cowl for my daughter as the cold weather has arrived and i didn’t want her to have a cold neck. Anyone else find their children are ‘allergic’ to coats and hate wearing them? I found the ripple pattern on Attic24 here. I have to admit I wouldn’t wear these colours together but that’s what happens when you let you daughter choose what colours she’d like in her scarf! 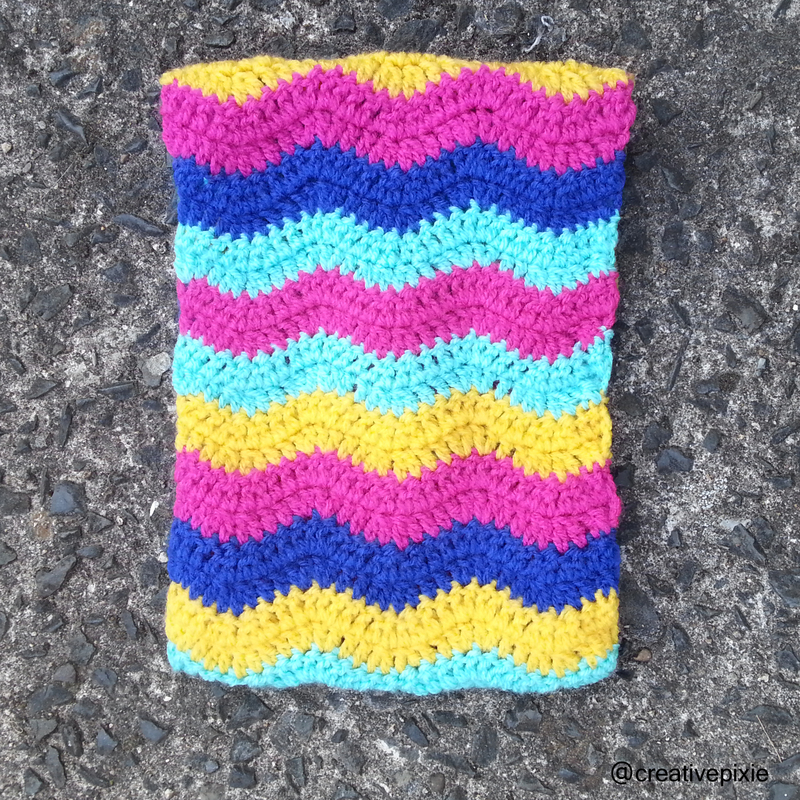 I just crocheted a long rectangle and then joined the 2 short ends by crocheting them together. It’s been a popular make and my other daughter has put in a request for one of her own. What is everyone else up to, anyone else making crochet garments for children? 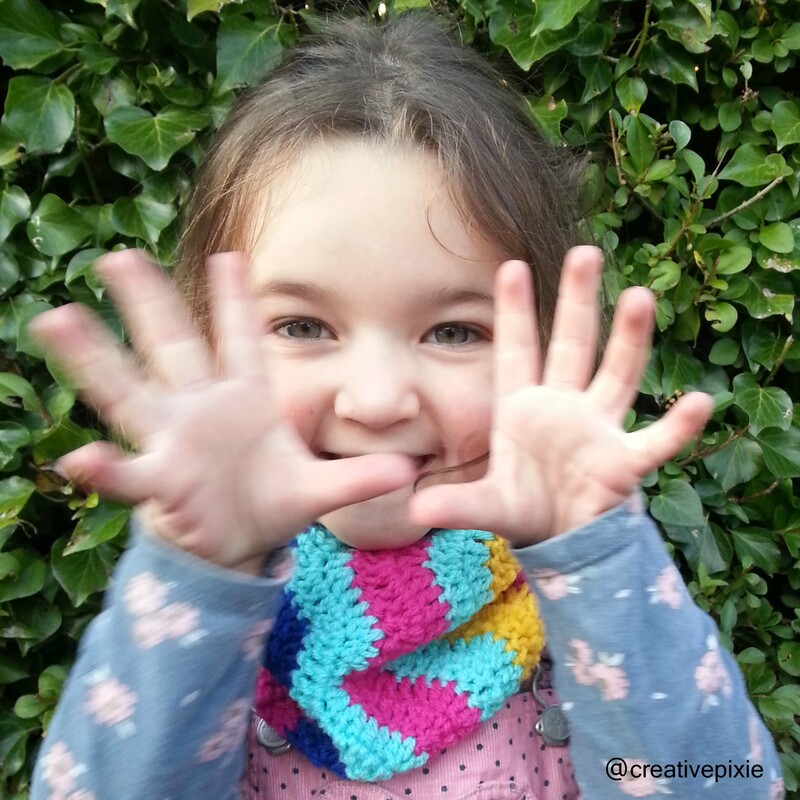 My eldest is at an awkward age for crochet patterns as the one nicest ones I’ve found only do up to 7 years old and Miss P is starting to wear clothes that are bigger than 7/8 (despite being only 6). Suggestions for patterns would be greatly appreciated. 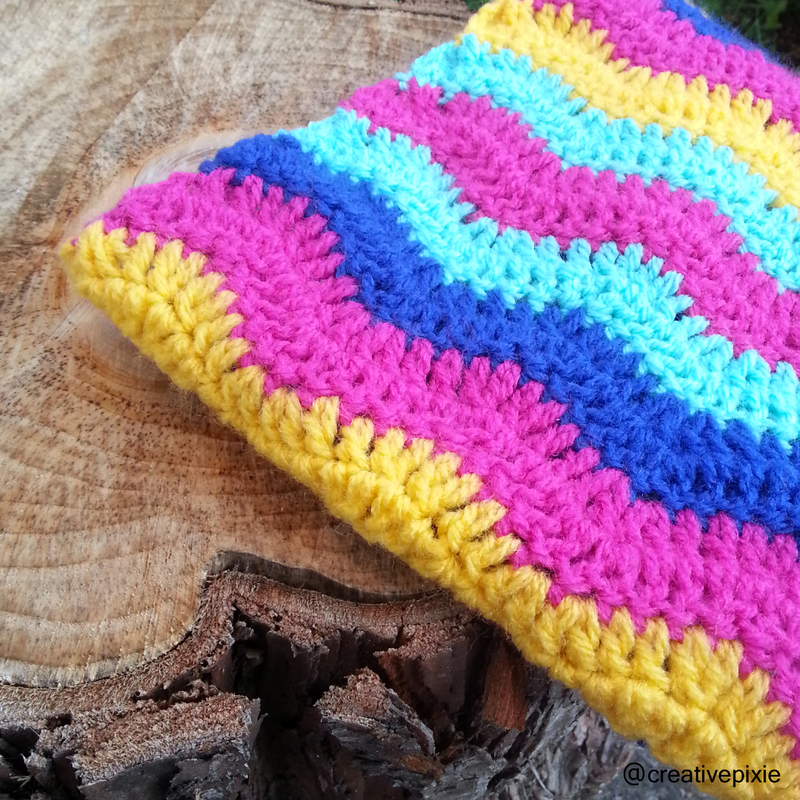 Yes, I’m making crochet cowls for my girls – although they’re 19, 23 and 27! I love this! I really need to learn to crochet.